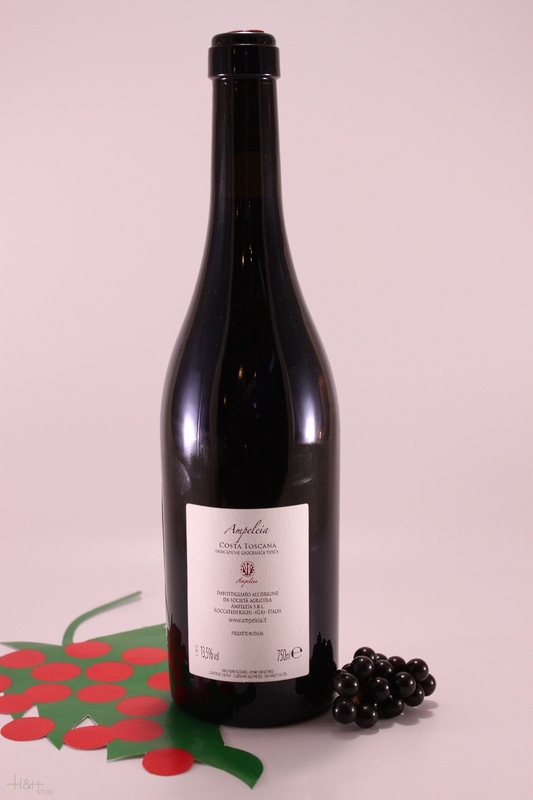 Grapes: Cabernet franc 50 % - Sangiovese 20 % together with other 5 different varieties of Mediterranean heritage. General: With this vintage Ampeleia finally sees the complete expression of the whole project. The vintage 2015 is the product of seven varieties two of which are the core of the blend since ealier vintages: Cabernet Franc and Sangiovese. "Wine Spectator" has rated the wine "Ampeleia 'Ampeleia' Costa Toscana IGT, Tuscany, Italy" from the vintage 2012 on 29.02.2016 with 91 of 100 points. "Vinous Antonio Galloni" has rated the wine "Ampeleia 'Ampeleia' Costa Toscana IGT, Tuscany, Italy" from the vintage 2010 on 01.08.2013 with 94 of 100 points. "Wine Spectator" has rated the wine "Ampeleia 'Ampeleia' Costa Toscana IGT, Tuscany, Italy" from the vintage 2009 on 15.10.2012 with 90 of 100 points. "Vinous Antonio Galloni" has rated the wine "Ampeleia 'Ampeleia' Costa Toscana IGT, Tuscany, Italy" from the vintage 2009 on 01.09.2012 with 94 of 100 points. "Vinous Antonio Galloni" has rated the wine "Ampeleia 'Ampeleia' Costa Toscana IGT, Tuscany, Italy" from the vintage 2008 on 01.08.2011 with 90 of 100 points. "Wine Spectator" has rated the wine "Ampeleia 'Ampeleia' Costa Toscana IGT, Tuscany, Italy" from the vintage 2007 on 31.10.2010 with 91 of 100 points. "Wine & Spirits Magazine" has rated the wine "Ampeleia 'Ampeleia' Costa Toscana IGT, Tuscany, Italy" from the vintage 2005 on 01.04.2009 with 88 of 100 points. "Wine Spectator" has rated the wine "Ampeleia 'Ampeleia' Costa Toscana IGT, Tuscany, Italy" from the vintage 2005 on 15.10.2008 with 90 of 100 points. "Wine & Spirits Magazine" has rated the wine "Ampeleia 'Ampeleia' Costa Toscana IGT, Tuscany, Italy" from the vintage 2003 on 01.04.2008 with 90 of 100 points. "Wine Spectator" has rated the wine "Ampeleia 'Ampeleia' Costa Toscana IGT, Tuscany, Italy" from the vintage 2004 on 30.09.2007 with 91 of 100 points. "Wine Spectator" has rated the wine "Ampeleia 'Ampeleia' Costa Toscana IGT, Tuscany, Italy" from the vintage 2003 on 30.09.2007 with 87 of 100 points. "Vinum Wine Magazine" has rated the wine "Ampeleia 'Ampeleia' Costa Toscana IGT, Tuscany, Italy" from the vintage 2004 on 01.03.2007 with 16 of 20 points. "Falstaff Magazin" has rated the wine "Ampeleia 'Ampeleia' Costa Toscana IGT, Tuscany, Italy" from the vintage 2003 on 10.03.2006 with 92 of 100 points. "Falstaff Magazin" has rated the wine "Ampeleia 'Ampeleia' Costa Toscana IGT, Tuscany, Italy" from the vintage 2002 on 10.03.2006 with 89 of 100 points. "Stephen Tanzer" has rated the wine "Ampeleia 'Ampeleia' Costa Toscana IGT, Tuscany, Italy" from the vintage 2009 with 94 of 100 points. "CellarTracker" has rated the wine "Ampeleia 'Ampeleia' Costa Toscana IGT, Tuscany, Italy" from the vintage 2010 with 91 of 100 points. "CellarTracker" has rated the wine "Ampeleia 'Ampeleia' Costa Toscana IGT, Tuscany, Italy" from the vintage 2011 with 91 of 100 points. "Stephen Tanzer" has rated the wine "Ampeleia 'Ampeleia' Costa Toscana IGT, Tuscany, Italy" from the vintage 2007 with 91 of 100 points. 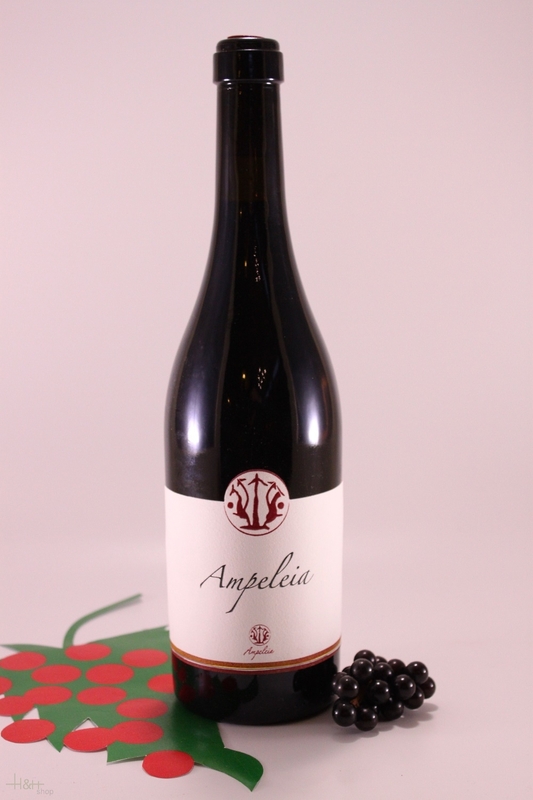 "CellarTracker" has rated the wine "Ampeleia 'Ampeleia' Costa Toscana IGT, Tuscany, Italy" from the vintage 2009 with 90 of 100 points. "CellarTracker" has rated the wine "Ampeleia 'Ampeleia' Costa Toscana IGT, Tuscany, Italy" from the vintage 2004 with 89 of 100 points. "CellarTracker" has rated the wine "Ampeleia 'Ampeleia' Costa Toscana IGT, Tuscany, Italy" from the vintage 2003 with 89 of 100 points. "Stephen Tanzer" has rated the wine "Ampeleia 'Ampeleia' Costa Toscana IGT, Tuscany, Italy" from the vintage 2004 with 88 of 100 points. "CellarTracker" has rated the wine "Ampeleia 'Ampeleia' Costa Toscana IGT, Tuscany, Italy" from the vintage 2005 with 86 of 100 points. "Vinum Wine Magazine" has rated the wine "Ampeleia 'Ampeleia' Costa Toscana IGT, Tuscany, Italy" from the vintage 2012 with 16 of 20 points. Blossom honey South Tirol directly the farm. Real South Tyrolean blossom honey is a natural product, accumulated and processed the bees and got the beekeeper. This honey is free of any additions and is estimated very much because of its many natural active substances.